By Yvonne Reddin | September 28, 2010. You don’t have to be Beyonce to be a celebrity in the Liberties, as student Melissa Carton-McKevitt knows quite well. 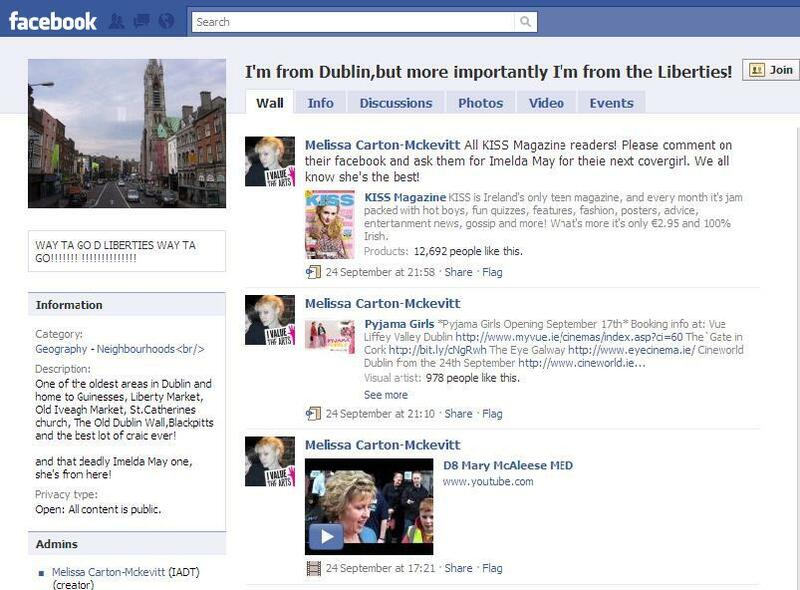 Melissa set up a page on Facebook – “I’m from Dublin, but more importantly I’m from The Liberties” – which has had a great response from Liberties natives (‘Libertines’) who have moved away. Born and bred in the area, she has recently moved to Roscommon, but she comes back every weekend to have a drink in the local. Melissa, a performer at heart, always wanted to be the next Sarah Brightman… Watch this space!